Flexible Flyer Play Park Metal Swing Set: Assembly Impossible? In the realm of metal swing sets, the Flexible Flyer Play Park Metal Swing Set has nearly everything both kids and parents want in a play structure. It is safe and reasonably priced along with including a variety of accessories to keep kids busy and active. While it is smaller than most of its wood counterparts, this swing set will fit into more budgets and more backyards than many wood swing sets. It also requires less maintenance and is easier to assemble. This is definitely a plus when families are busy and would rather spend their weekend playing on their swing set than putting it together, staining wood, or fixing a cracked board. 1 What Do I Get with the Flexible Flyer Play Park Metal Swing Set? 2 Will the FF Play Park fit in my backyard? 3 So is it actually impossible to assemble the FF Swing Set? 4 Does the Play Park Metal Swing Set come with an instruction manual? 5 What if I need replacement parts? 6 Where can I purchase the Flexible Flyer Play Park? What Do I Get with the Flexible Flyer Play Park Metal Swing Set? The Flexible Flyer Play Park comes with a variety of accessories that provide something for kids of all ages. It is recommended for kids ages 2-10 years. 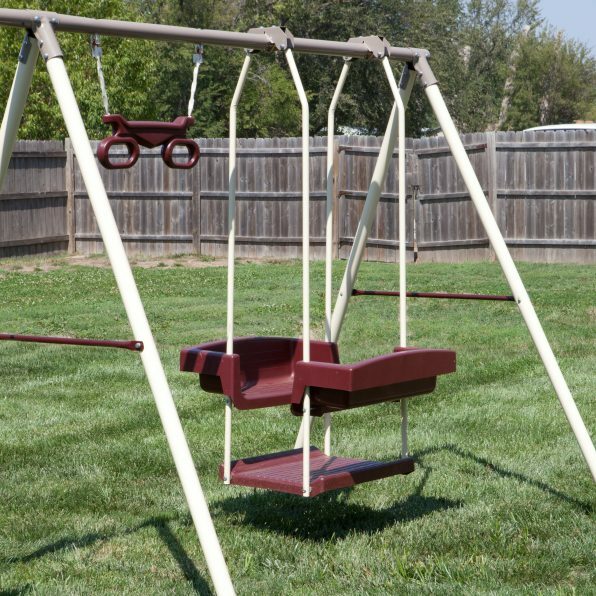 All of the swings on this swing set are an attractive maroon color that coordinates well with the brown and tan color of the metal support poles. It is a simple metal, A-frame structure that is fairly easy to assemble with basic building knowledge and the ability to follow instructions. It is well-made with quality materials. All of the metal is painted and the ends of the poles are sealed with included plastic caps to help avoid rust. The swing set will hold up to 10 children with a weight limit of 105 lbs. each. The Flexible Flyer Swing set includes 2 Super-sling swings that are perfect for the older kids. The sling swings come with a plastic coating on the chains which is a great safety feature to keep fingers from getting pinched in the links. However, this coating also makes it difficult to raise or lower the swings for kids of different heights. Shortening the chains requires cutting a hole in the plastic coating in order to fit the links back onto the swing hanger. The two-person air glider is a unique feature that isn’t found on many swing sets. It allows kids to swing together and work their arms while they swing. It’s a great option for the more adventurous swingers in the family. Another unique accessory to this metal swing set is the 4 passenger lawn swing. While it is designed for 4 riders, it is a tight squeeze if these riders are in the upper age range of the set. It does however provide the perfect option for the younger kids who are not as comfortable swinging on their own. The Deluxe Trapeze Bar provides another swinging choice for older kids and does require a bit of upper body strength to hold on. The curved plastic rings are much easier to grip than the metal of a standard trapeze bar. One complaint about this swing set is that the trapeze bar comes with short chains that cannot be lengthened. This feature makes it difficult for younger and/or shorter children to utilize the trapeze rings. For those who are handy, this problem is easily remedied with a couple of S-hooks and extra lengths of chain. The 6’ long wave slide provides one more activity to get kids moving. It is easily accessible with only two steps to climb and handles to hold while kids get ready to zoom to the bottom. The slide matches the rest of the accessories with the maroon color. 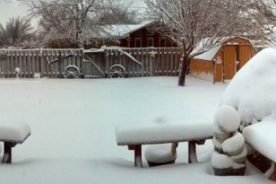 For those trying to accommodate a smaller yard, the swing set structure can stand on its own without support from the slide. But what kid wants to give up a slide? Will the FF Play Park fit in my backyard? After assembling the Flexible Flyer Play Park Metal Swing Set it is 200” long, 96” wide, and 72” high. It is recommended that there is a 6-foot perimeter around the entire structure for safety. 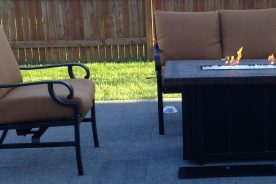 While it is not the smallest playset on the market it is definitely suited for smaller yards. Unless the swing set is ordered online and delivered to the front door, it will require more than one person and a larger vehicle to transport the box from the store. Not one piece of this set comes pre-assembled. Its box weighs about 110 pounds and measures 14 inches high x 22 inches wide x 7-8 feet long. So is it actually impossible to assemble the FF Swing Set? Like many metal swing sets, the Flexible Flyer Play Park is designed to be easy to assemble. With a basic knowledge of tools, measuring, and following instructions almost anyone can put it together. While it is possible for one person to assemble it alone, it will definitely be easier and much quicker with 2-3 sets of hands. Be sure to read the instructions completely and carefully before assembly. Unfortunately, the parts are not well labeled and some of the screws are very close in size, making it easier to use the incorrect screws for the bars vs. the swings. Take your time sorting out the parts and putting the swing set together and you will find it is certainly possible to assemble. And it will be well worth the effort! It takes between 3-5 hours to complete the assembly of the swing set structure, all of the swings, and the slide. 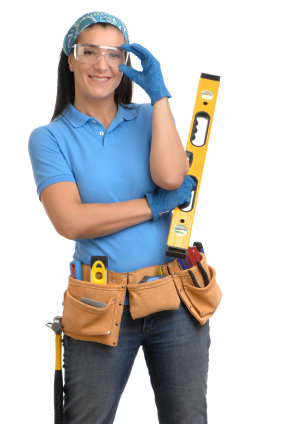 Required tools include a screw driver, hammer, wrench, Allen wrench, tape measure, and pliers. Does the Play Park Metal Swing Set come with an instruction manual? All Flexible Flyer swing sets come with an instruction manual but it is not the most descriptive and easiest set of instructions to follow. There is an extensive parts list at the end of the manual which is handy for matching up the part description with the part number. However, since the parts are not labeled one is sometimes left guessing if they are, in fact, holding the correct part. Flexible Flyer’s website provides customers with short instructional videos for those who might be more visual or need more instruction than the manual provides. These videos can be found here. A copy of the instructions for this model can also be found here along with instructions to all of their metal swing sets. What if I need replacement parts? On the rare occasion that something is missing or damaged upon opening the packaging for this swing set, it is simple to call the manufacturer and request replacement parts. The customer assistance department contact information is located in the instruction manual. They are extremely helpful and available Monday-Friday from 8 AM to 4:30 PM at 1-888-350-3015. When calling customer service, they require customers to provide the name of the part and the part number, which can be found on the list at the back of the instruction manual. Where can I purchase the Flexible Flyer Play Park? 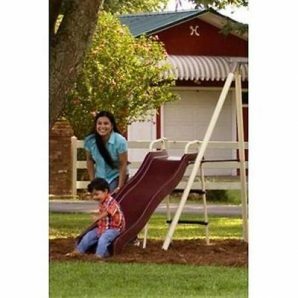 This popular metal swing set can be purchased online or in-store at several well-known retailers. Wal-Mart carries it in-store in select locations but also offers it online for $249 with free shipping or free ship to store. Another possible store location to find the Play Park is at Sears for approximately $400. Online stores that will ship the set directly to a residence include Amazon, Ebay, and Hayneedle. Amazon’s price can be found here while Ebay’s price varies depending on the seller. Hayneedle advertises the swing set for approximately $300. 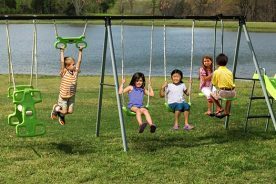 Overall, this is a high-quality metal swing set from US company Flexible Flyer. 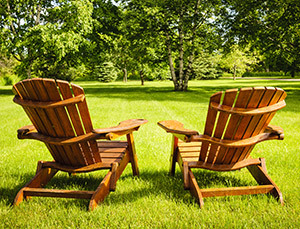 For someone who is on a tight budget and working with a smaller sized backyard it is a perfect choice. It comes with all of the instructions and parts needed for do-it-yourself assembly. The best reviews come from the kids who will not want to come in at the end of the day because they are too busy enjoying everything this swing set has to offer. 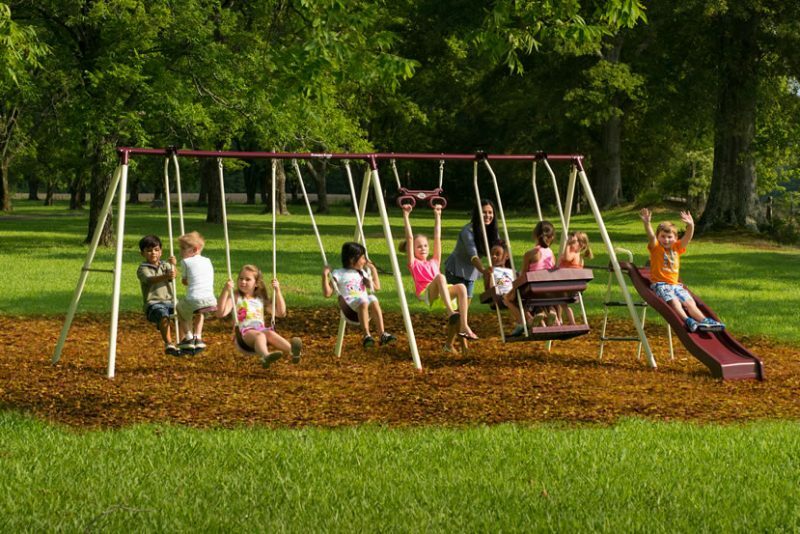 7 Flexible Flyer Metal Swing Sets: Which is Right for You?